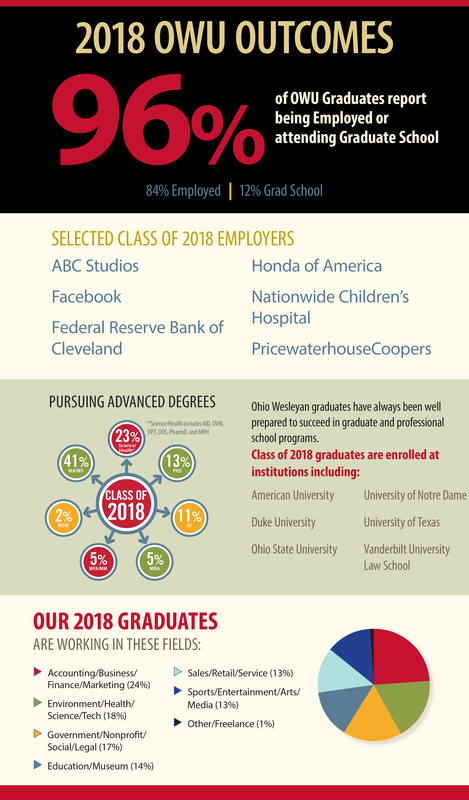 Every year, Career Services collects survey information from Ohio Wesleyan’s new graduates about where the current phase of their career journey has taken them. In addition, we occasionally conduct additional surveys of our alumni to find out long-term outcomes information, and those reports are also included here. M-F Hours: 8:30 a.m. - 5:00 p.m.